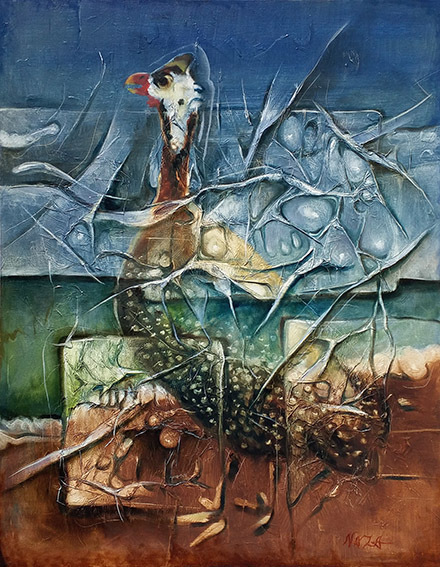 This art reproduction depicts a Guinea Fowl. Size: 28"x20". 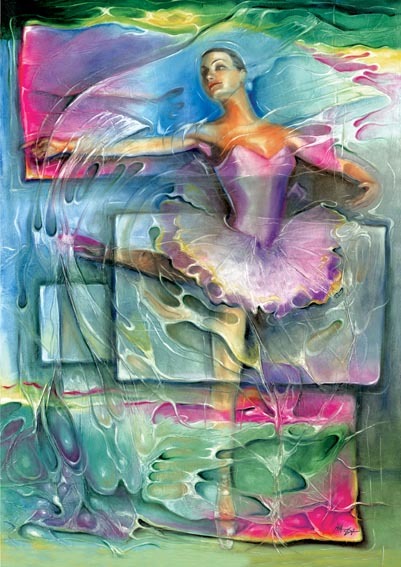 This ballerina art reproduction is a great affordable art. This fine art reproduction on paper depicts the painting "Ballerina", by Naza, Brazilian American Artist of international acclaim. The perfect gift idea for art lovers and ballet lovers, as well. The buyer pays for the actual cost of shipping and handling. We will ship to the USA, Canada, South America, Central America, The Caribbean islands, Australia, Japan, The UK, and the European Community. This ballerina art print is a great affordable art. This fine art reproduction on paper depicts the painting "Ballerina", by Naza, Brazilian American Artist of international acclaim. The perfect gift idea for art lovers and ballet lovers, as well. Approximate size: 28"x20" The buyer pays for the actual cost of shipping and handling. We will ship to the USA, Canada, South America, Central America, The Caribbean islands, Australia, Japan, The UK, and the European Community. 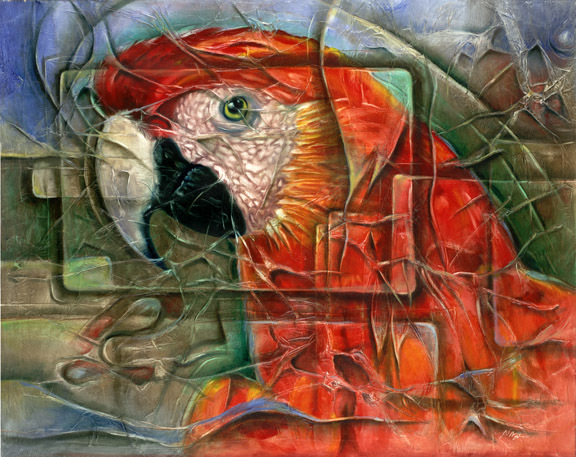 This red macaw poster is a great affordable artwork. 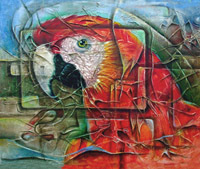 This fine art reproduction on paper depicts the painting "Red Macaw", by Naza, Brazilian American Artist of international acclaim. A great gift idea for art lovers and bird lovers, as well. This ballerina art reproduction is a great affordable artwork. 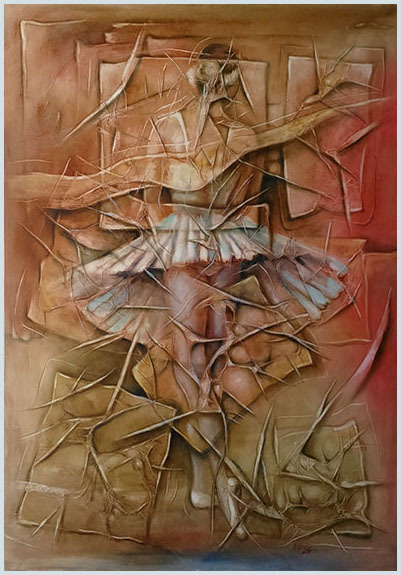 This fine art print on paper depicts the painting "Ballerina Standing", by Naza, Brazilian American Artist of international acclaim. A great gift idea for art lovers. Approximate size: 28"x 20" The buyer pays for the actual cost of shipping and handling. We will ship to the USA, Canada, South America, Central America, The Caribbean islands, Australia, Japan, The UK, and the European Community. This ballerina art reproduction is a great affordable artwork. This fine art reproduction on paper depicts the painting "Ballerina Standing", by Naza, Brazilian American Artist of international acclaim. A great gift idea for art lovers. 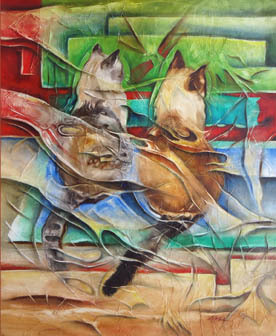 This fine art reproduction depicts the painting "Cats", by Naza, Brazilian American Artist of international acclaim. A great gift idea for art lovers and animal lovers, as well. Approximate size: 28"x20" The buyer pays for the actual cost of shipping and handling. We will ship to the USA, Canada, South America, Central America, The Caribbean islands, Australia, Japan, The UK, and the European Community. This cat art. 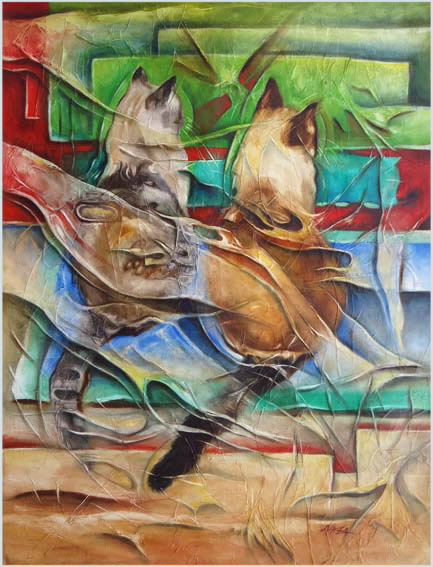 This fine art reproduction on paper depicts the painting "Cats", by Naza, Brazilian American Artist of international acclaim. A great gift idea for art lovers and animal lovers, as well. This giraffe art print is a great affordable art. 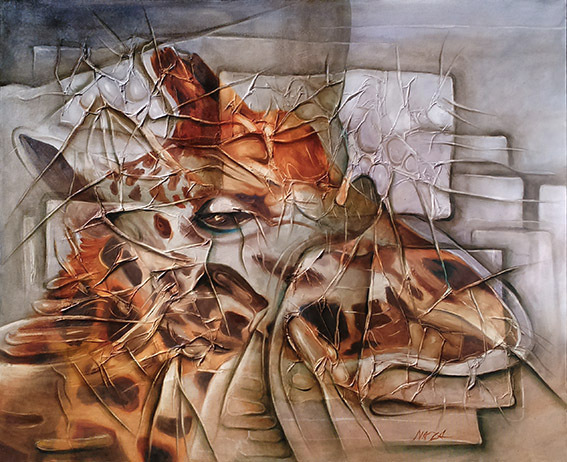 This fine art reproduction on paper depicts the painting "Giraffe", by Naza, Brazilian American Artist of international acclaim. The perfect gift idea for art lovers. Approximate size: 28"x20" The buyer pays for the actual cost of shipping and handling. We will ship to the USA, Canada, South America, Central America, The Caribbean islands, Australia, Japan, The UK, and the European Community. This red bird art print is a great affordable art. 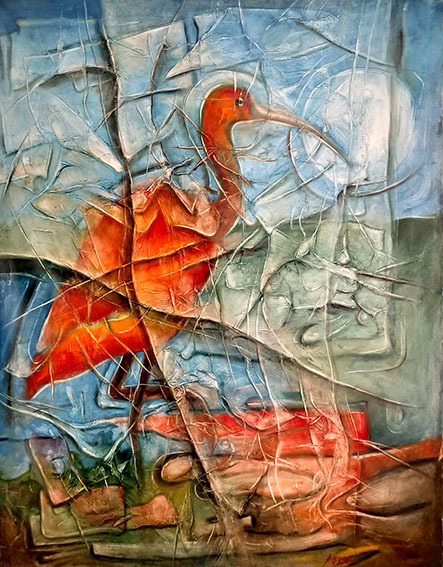 This fine art reproduction on paper depicts the painting "Guara", by Naza, Brazilian American Artist of international acclaim. The perfect gift idea for art lovers and animal lovers, as well. Approximate size: 28"x20". The buyer pays for the actual cost of shipping and handling. We will ship to the USA, Canada, South America, Central America, The Caribbean islands, Australia, Japan, The UK, and the European Community. Fine art reproduction of endangered species manatee by acclaimed Visual Artist Naza. 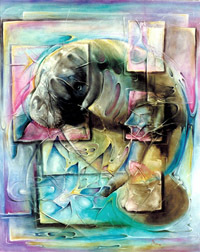 A very affordable gift for animal lovers and art lovers. The title of this artwork is "Ready for a Hug". Size 28"x 22" to make framing more affordable. The predominant blue and green colors of this sea mammal’s image give it a very peaceful feel. GREAT FOR DECORATING YOUR BOAT TOO. See more of Naza's under water at the other pages of this website. These art prints are great affordable art. 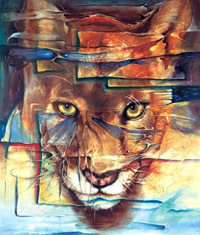 They make the perfect fine art gifts for animal lovers, art lovers, or anyone with good taste and a wall space. Buyer pays for shipping and handling. Life History: Although we call them Florida panthers, these shy cats once roamed throughout the entire Southeast from east Texas to the Atlantic and north to parts of Tennessee. Overhunting, loss of habitat, and reduction of their primary prey reduced their population to a remnant living on the southern tip of Florida. They prefer upland habitat but will use diverse habitats. They mainly prey on deer and hogs. Description: Overall coat color is tan (not black), often darker along center of back; creamy white under; black on back of ears, muzzle, and tail tip. Males: average 130 pounds and measure 6 to 8 feet with the tail; shoulder height of 2.6 feet; front pad width greater than 2 inches. Males defend home ranges up to 200 sq. miles that overlap ranges of several females; mature at 3 years; average lifespan of 10 years if they reach adulthood. Females: average 80 pounds and measure 5 to 7 feet with tail; shoulder height of 2.2 feet; front pad width less than 2 inches. Females have a home range of 80 sq. miles, overlapping with other females; mature at 1.5 years; breed year round with peak denning period in spring; den in palmetto thickets; gestation of 3 months; litter size 1-4, average of 2; kittens leave den at 2 months, independent at 1.5 years; 15 year lifespan if they reach adulthood. West Indian manatees are large, gray aquatic mammals with bodies that taper to a flat, paddle-shaped tail. They have two forelimbs, called flippers, with three to four nails. Their head and face are wrinkled with whiskers on the snout. The manatee's closest land relatives are the elephant and the hyrax, a small, gopher-sized mammal. Manatees are believed to have evolved from a wading, plant-eating animal. The West Indian manatee is related to the West African manatee, the Amazonian manatee, the dugong, and to the Steller's sea cow, which was hunted to extinction in 1768. The average adult manatee is about three meters (9.8 feet) long and weighs between 362-544 kilograms (800-1,200 pounds). Habitat and Range: Manatees can be found in shallow, slow-moving rivers, estuaries, saltwater bays, canals and coastal areas. Manatees are a migratory species. Within the United States, West Indian manatees are concentrated in Florida in the winter, but they can be found in summer months as far west as Texas and as far north as Virginia. However, these sightings are rare. Summer sightings in Alabama, Georgia and South Carolina are common. West Indian manatees can also be found in the coastal and inland waterways of Central America and along the northern coast of South America, although distribution in these areas may be spotty. Behavior: Manatees are gentle and slow-moving. Most of their time is spent eating, resting, and in travel. Manatees are completely herbivorous. They eat aquatic plants and can consume 10-15% of their body weight daily in vegetation. They graze for food along water bottoms and on the surface. They may rest submerged at the bottom or just below the surface, coming up to breathe on the average of every three to five minutes. When manatees are using a great deal of energy, they may surface to breathe as often as every 30 seconds. When resting, manatees have been known to stay submerged for up to 20 minutes. The reproductive rate for manatees is slow. Female manatees are not sexually mature until about five years of age, and males are mature at approximately nine years of age. On average, one calf is born every two to five years, and twins are rare. The gestation period is about a year. Mothers nurse their young for one to two years, so a calf may remain dependent on its mother during that time. and sets forth a list of tasks geared toward recovering manatees from their current endangered status. Save the Manatee Club is part of the Manatee Recovery Team, which carries out the tasks in the plan under the auspices of the USFWS. In addition, SMC is part of the Manatee Technical Advisory Council, which makes recommendations to government officials on manatee protection issues. research covering the biology, mortality, population and distribution, behavior, and habitat of manatees; implementation of management plans; posting of regulatory speed signs and levying of fines for excess speeds in designated areas; manatee education and public awareness programs; and public acquisition of critical habitat and creation of sanctuaries.